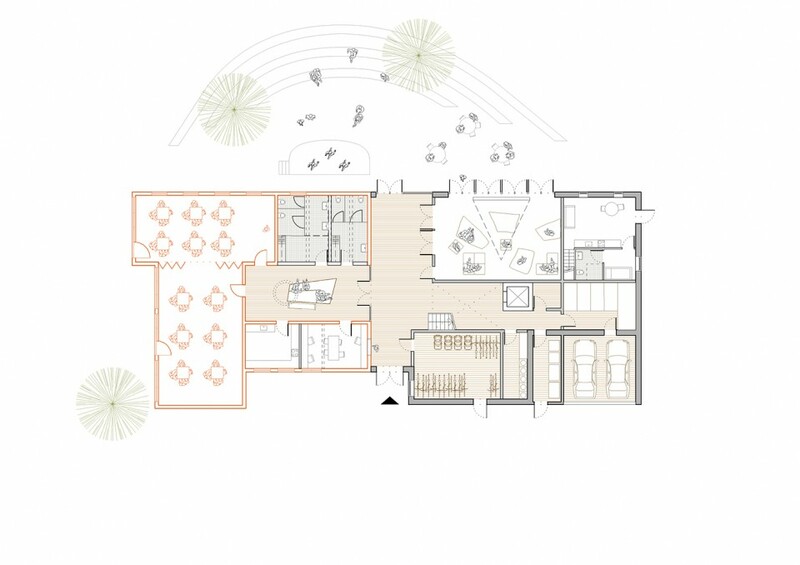 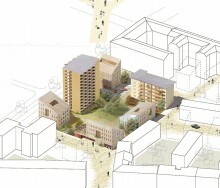 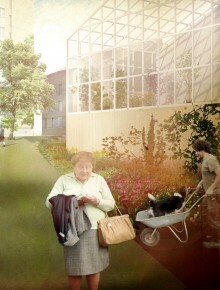 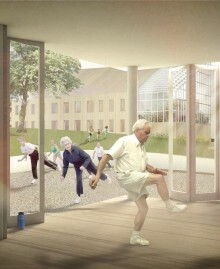 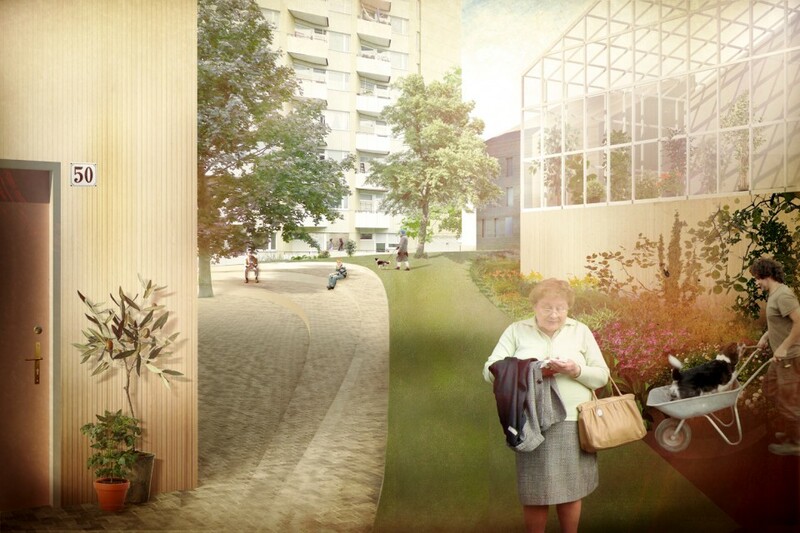 The residential project “Aging in Neighborhood” was conceived as part of a competition for the densification of a quiet inner-city residential area with a high proportion of senior residents. 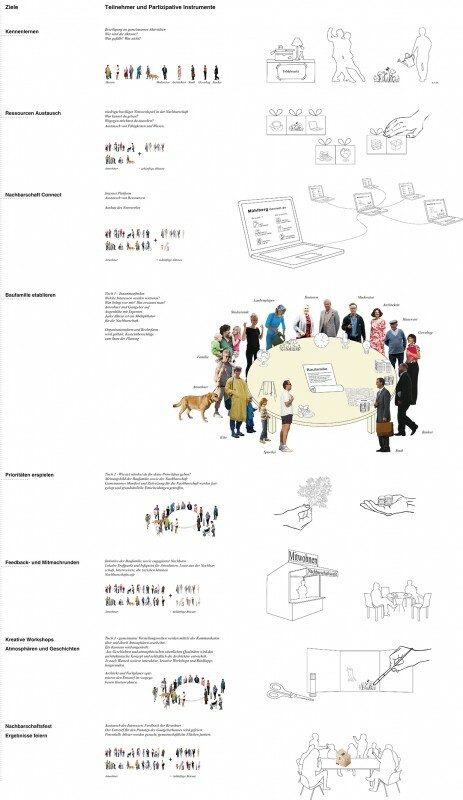 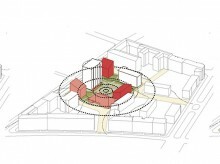 A participatory process was developed with a variety of alternative proposals, which would appeal to the neighborhood and potential new residents. 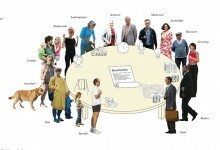 Intended is the formation of a mixed social structure that enables a multigenerational, communal cohabitation. 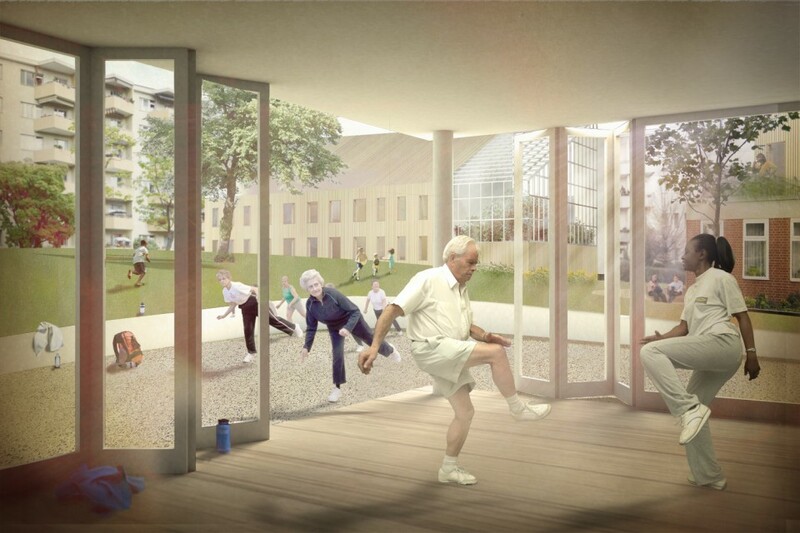 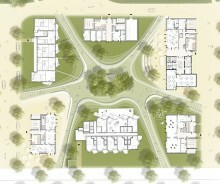 “Co-housing” and “co-working” are to be established in the neighborhood’s community areas (greenhouse, studio) and housing communities (guest apartment, game room, fitness room). 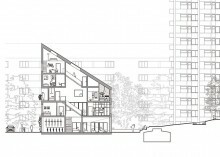 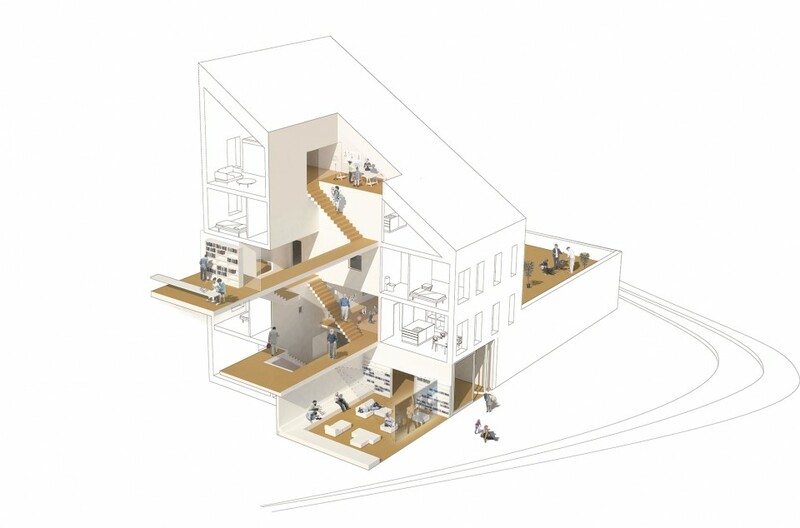 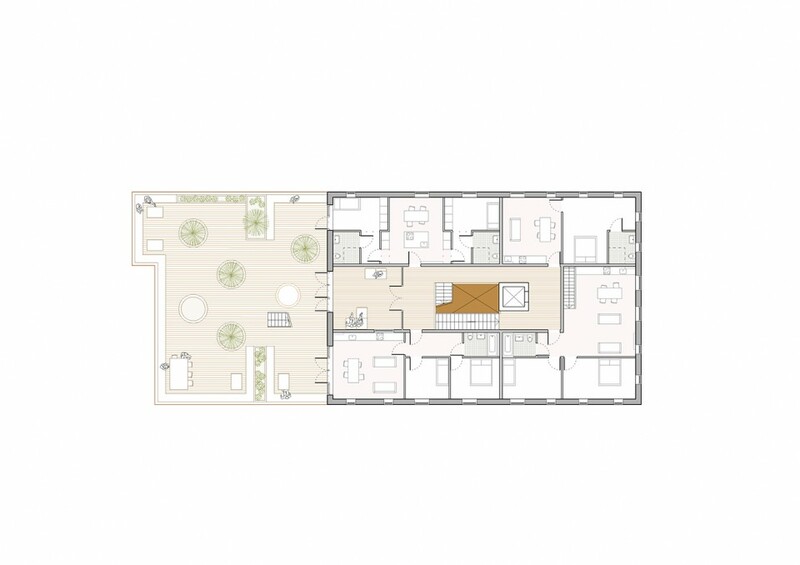 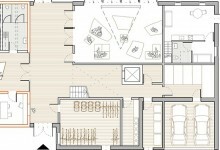 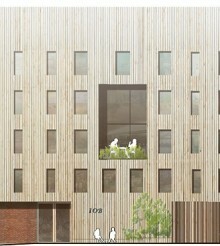 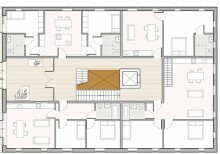 A three- to fourstory “host house” is presented as a prototype. 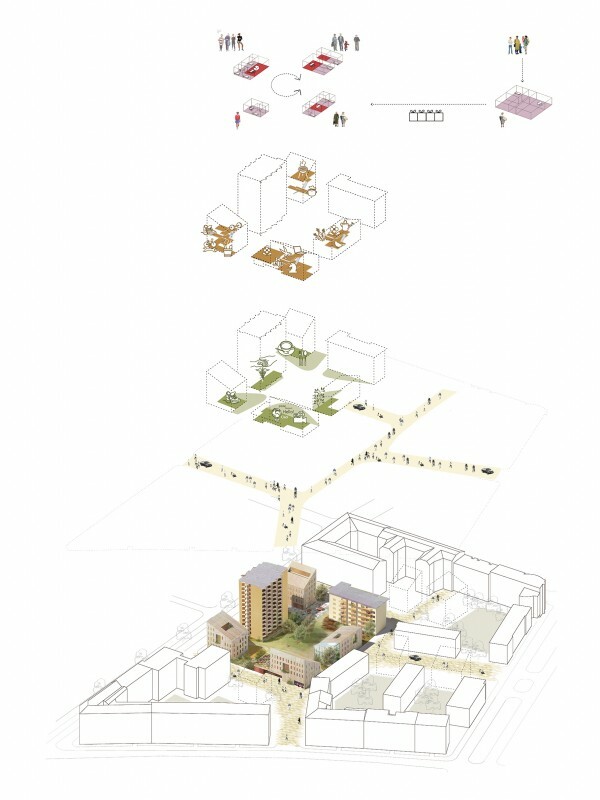 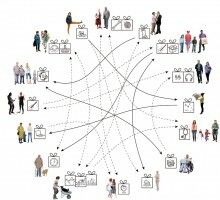 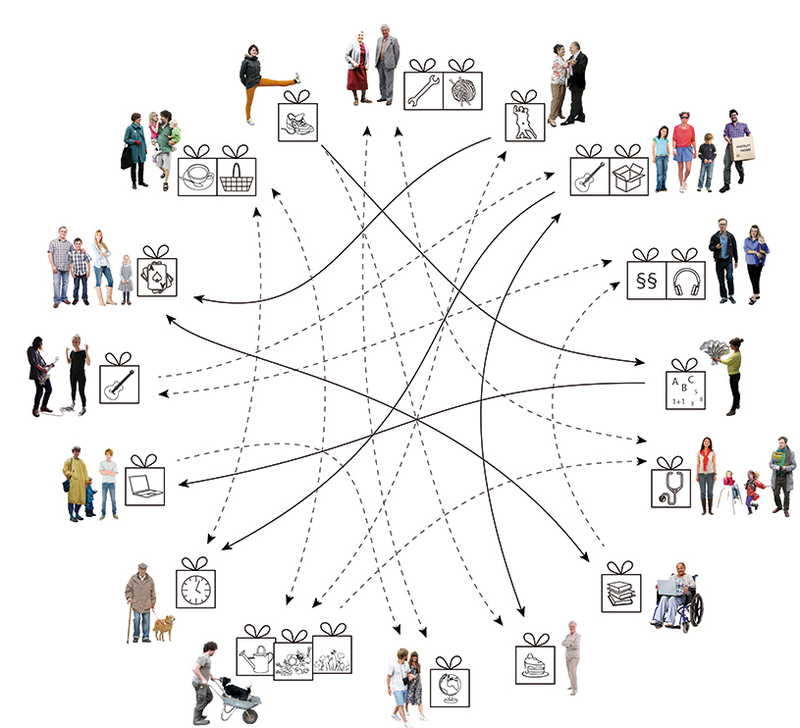 In a low-threshold networking game, residents and potential new neighbors get to know each other and exchange views on a desirable development. 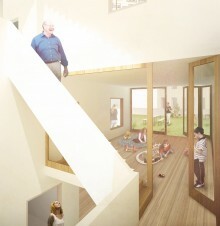 Because the group is large and still unknown in the design stage, several alternative workshops were developed. 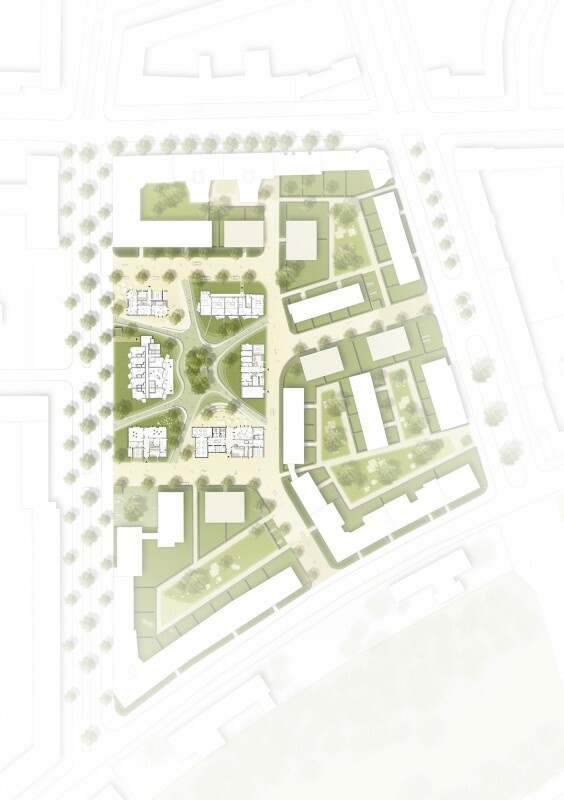 Through effective and entertaining planning games, surprising dream spaces could be discovered and developed in discussion with the rest of the neighborhood, in order to ultimately reach a common vision. 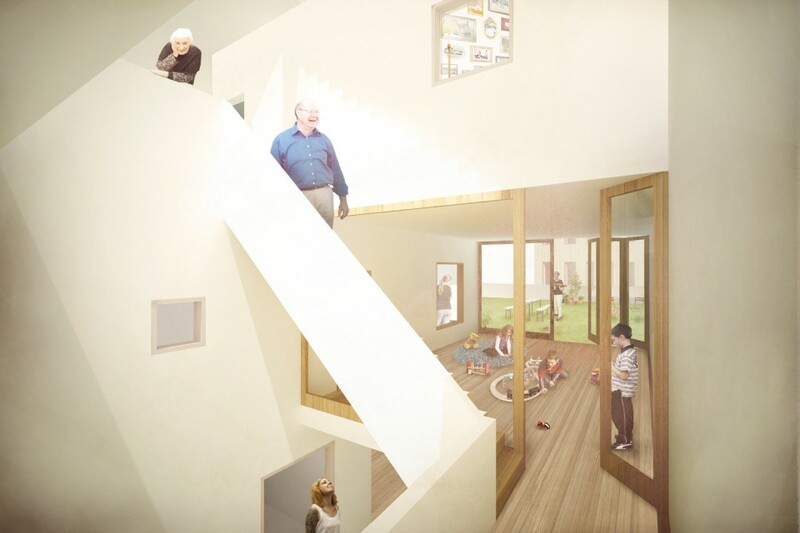 The community-based housing project, “Aging in Neighborhood,” is meant to promote social thinking and neighborly exchange, and ultimately strengthen identification of the residents with their living or working environment, which would in turn benefit the entire neighborhood.